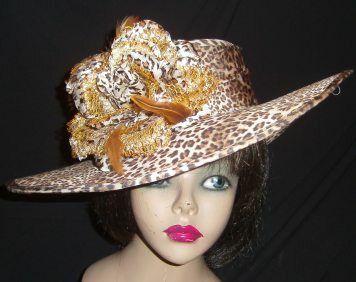 Some hats on these page have been sold but are shown because the designs may be reproduced in different colors and sometime the same fabric. 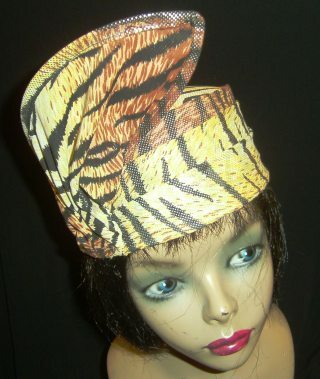 If you are interested in a particular style contact me for price and available materials and swatches. 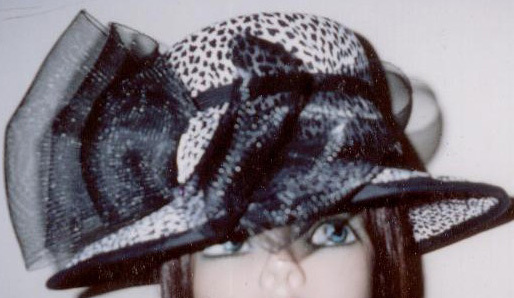 AP103 Covered open v point crown trimmed with black horse hair. 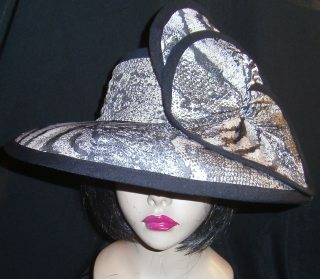 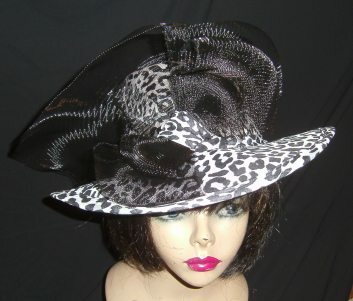 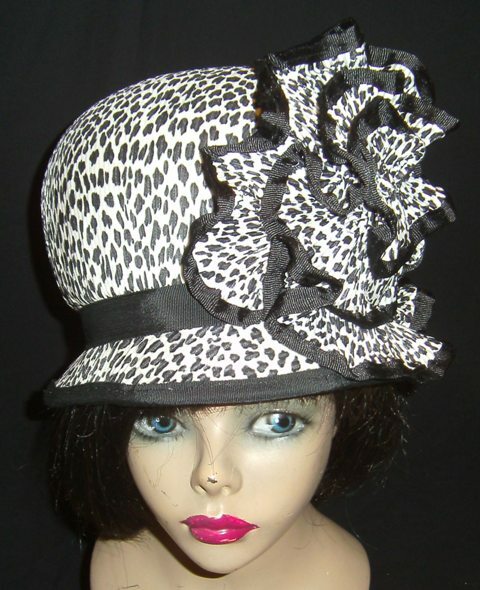 AP104 Covered 2 piece animal print hat with animal print flower. 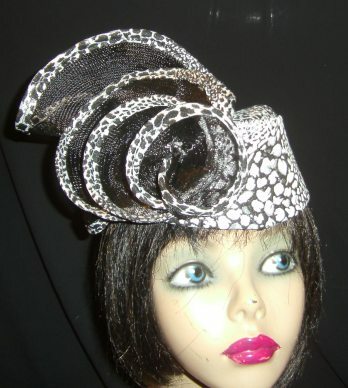 AP105 Covered 2-tiered crown trimmed with black horse hair. 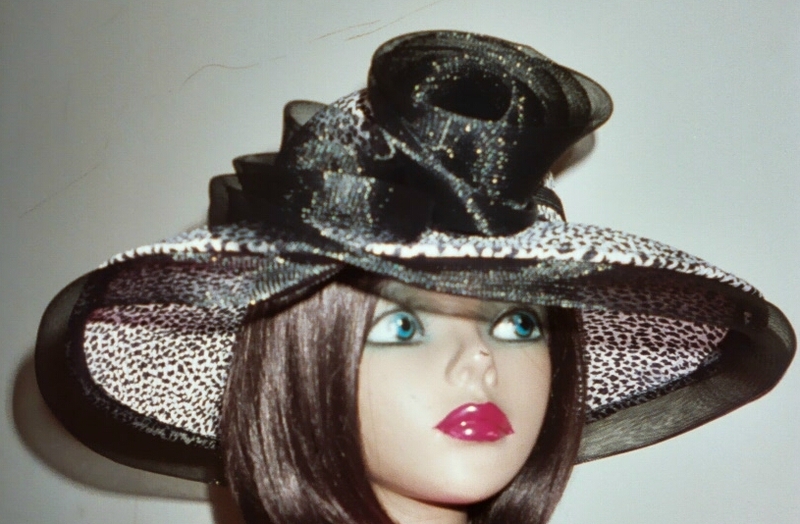 AP106 Covered bubble crown trimmed with black horse hair. 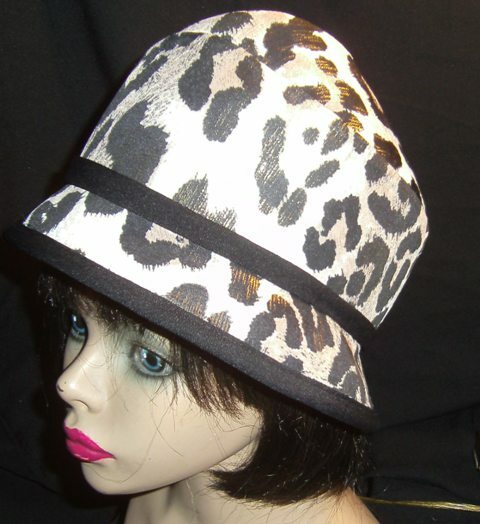 Covered 2 piece hat trimmed with black grosgrain hair. 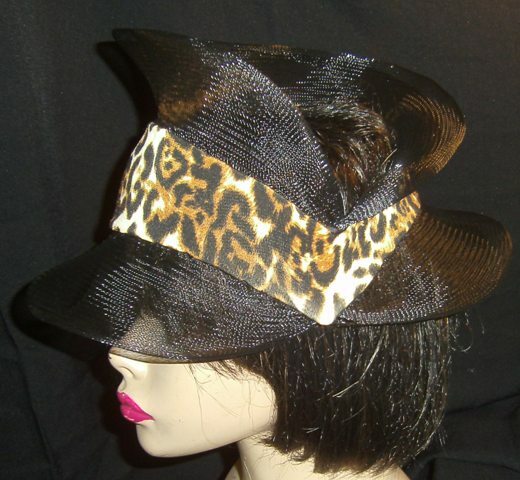 AP109 Covered 2 tiered crown trimmed with black horse hair and grosgrain edge. 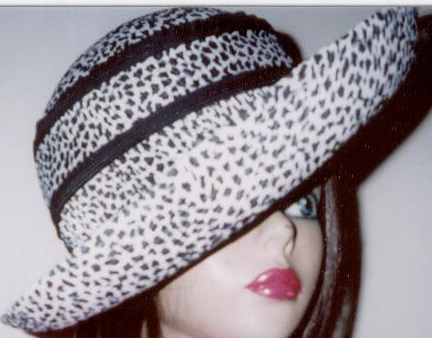 AP110 Covered round crown with upturned covered brim.